The couple next door, the family up the street, the kids that wave to you as you drive by their yard—these are all your neighbors. Being someone’s neighbor isn’t always about proximity, and being a good neighbor means more than just living next door to someone. The Kingsport Neighborhood Commission is launching an online Neighborhood Toolbox to commemorate Kingsport’s first official Good Neighbor Week. Every year on September 28, there is a little-known national holiday to recognize the importance of fostering respect and compassion for our neighbors. In an age where it’s easy to feel disconnected from one another, National Good Neighbor Day commemorates those neighborly relationships that are so important to building a thriving community. In 1978, President Jimmy Carter officially declared Good Neighbor Day a national holiday. The Kingsport Neighborhood Commission formed at the end of last year. 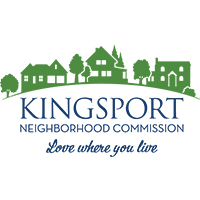 This twelve-person volunteer commission serves to strengthen Kingsport’s neighborhoods by providing a communication channel between neighborhoods and the city, as well as providing guidance on neighborhood solutions. The Neighborhood Commission also hopes to help you and your neighbors in more direct ways. That’s why, as part of Good Neighbor Week here in Kingsport, the commission is launching a Neighborhood Toolbox. This online Neighborhood Toolbox provides you with all kinds of resources in a user-friendly, easy-to-read format. You’ll learn how to pay bills online, how to protect your family in an emergency, how to form a neighborhood association, and much more! To find the Neighborhood Toolbox, navigate to www.kptneighborhoods.com and click the Toolbox icon. Throughout the last week of September, the Neighborhood Commission is celebrating Good Neighbor Week on Facebook! Check out the commission’s page for tips about how to be a good neighbor all year long.